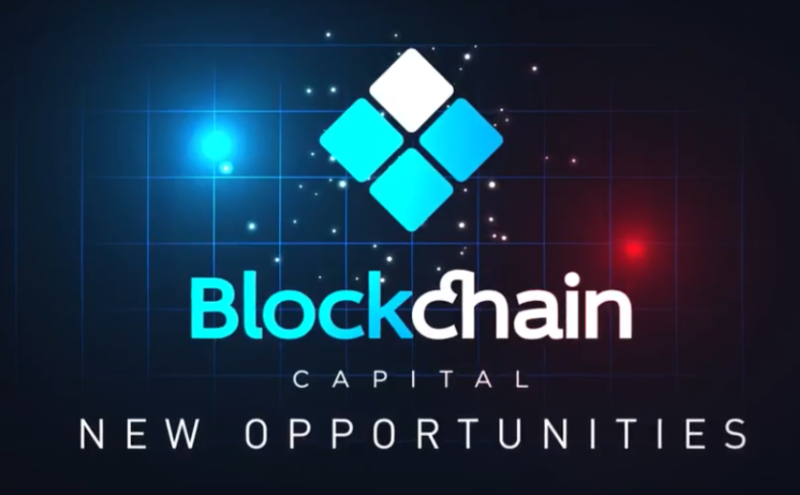 Blockchain Capital LTD is a new player of a crypto market who has appeared recently. It offers to WBT index token to make money with the rise of cryptocurrencies’ value. 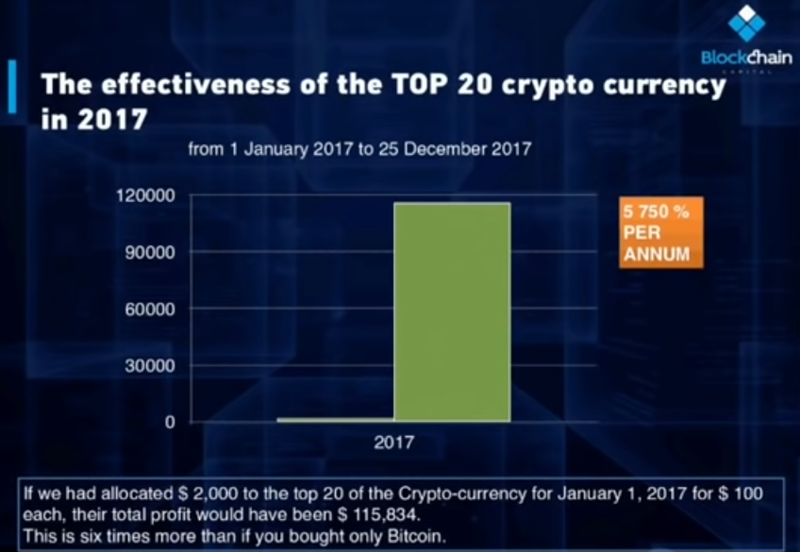 Investor provides his money to TOP20 of existing cryptocurrencies when buying this token. So, he doesn’t need to think about strategy of work for each tool or to create a lot of wallets. 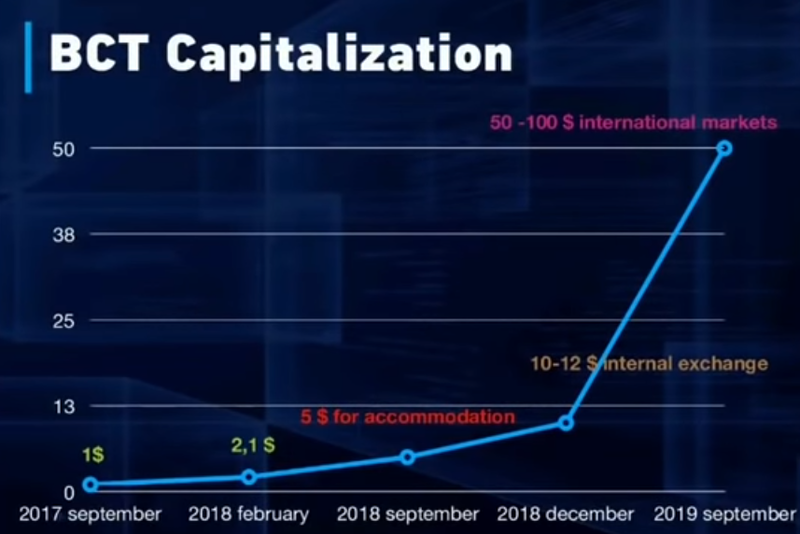 WBT increased in price well to the moment, but you still able invest in it to win your jackpot, because company’s greatest successes are ahead. Company’s creators brought to the market a platform that accumulates investment funds and distributes them among the TOP20 cryptocurrencies using smart contracts. This is a digital fund, and it comes to be better in future in comparison with traditional banks. Company is registered at St. Vincent and the Grenadines. This choice is explained by the fact that its jurisdiction allows to conduct actions through the whole world. The management have a plan to move company to Switzerland in the future. diversification of risks: if there’s some problems with any cruptocurrency, it is obviously that other 19 cryptocurrencies will face with difficulties too; so, portfolio investments have great protection. if you choose the second option, your profit from $2000 would be $115834 for 20 cryptocurrencies. This situation may continue in the future, so portfolio investments are more promising compared to investments in any Altcoin. August 1, 2018 – 20.8 million BCT emission. 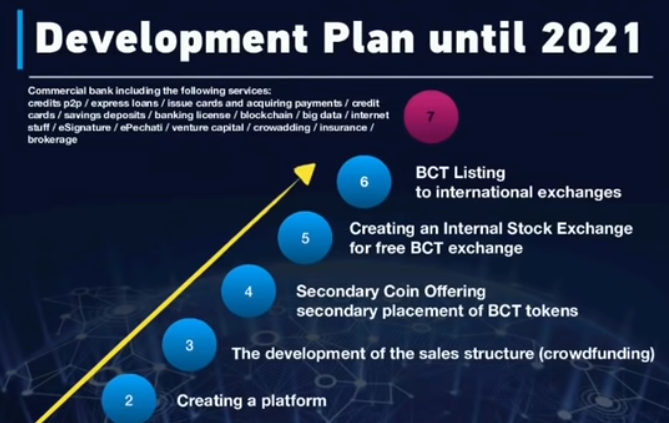 a listing of the BCT token using an international exchanges is planned, and it should cause an increase of its value. Token price was $1 at the start of sales, now it doubled, and all the current investors received +100% income. According to the estimates of the Blockchain Capital team, they’ll reach the $50-100 barrier for a token. Already, the number of active investors has exceeded 1,300 persons, so the token it popular. There are investors from Germany, Russia, Hungary, Kazakhstan, Morocco, Dubai. There’s an examples of successful investment. You can see above an example of an investor who earned about $ 1000 in 21 days. The company buys a crypto using crypto-counters and provides the highest possible level of security. Cryptocurrency related to WBT token is stored on hardware wallets with a maximum possible level of protection. 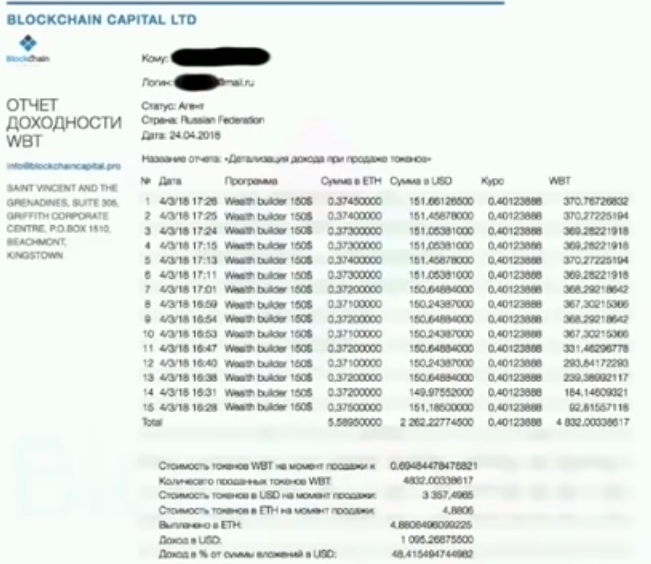 Since the time smart contracts was implemented, any user at any time of the day can go to etherscan.io and track how exactly the invested funds are distributed. It is simply impossible to falsify this information when it is recorded to Blockchain, the immutability of blocks that are already added is one of its properties. So there’s no theoretical opportunities to abuse the trust of investors while using Blockchain Capital. Blockchain Capital is a really promising project. The idea itself is not new, this approach is also used in ETF funds, but here’s a great implementation of the concept. And also creators have ambitious plans for the future, so the company has the chance to become one of the most successful ones and to multiply the investments of early investors. While WBT index token doesn’t grow too fast, it’s time to invest in it. We recommend to do it on an ongoing basis, gradually increasing the number of tokens purchased. 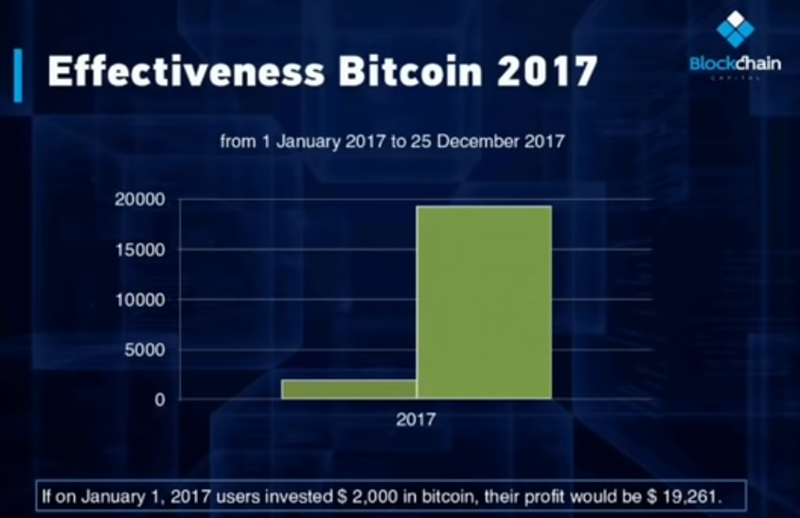 The probability of its growth in the future is great.